CRYSTAL LAKE, Ill., Oct. 24, 2017 /PRNewswire-USNewswire/ -- National Gift Card (NGC), an industry leading provider of gift card services and technology to rewards, loyalty, rebate and incentive programs, launched an updated gift card API (Application Program Interface) with expanded content that now features over 500 unique brands across the U.S., Canada, UK and Europe. As the favored gift card engine to a large portion of the B2B loyalty and rewards market, National Gift Card (NGC), an industry leading provider of gift card services and technology to rewards, loyalty, rebate and incentive programs, has launched an updated gift card API with expanded content that now features over 500 unique brands across the U.S., Canada, UK and Europe. With one of the largest selections of both physical and digital gift cards available for order in real-time via its secure API service, NGC continues to serve as the favored gift card engine to a large portion of the B2B loyalty and rewards market. Process and deliver digital gift card orders in real-time as end users are redeeming points, miles, or cash back. During the holiday season, for clients integrated with NGC's gift card API, it will allow consumers standing in line at the store to redeem their loyalty program points for their favorite reward within seconds, and to redeem at the Point of Sale immediately. Accept orders for physical gift cards in real-time to process within 48 hours. Provide fraud protection using cutting edge measures that include IP-based security threshold access limits, intrusion detection and event logging for suspicious activity. Support specific dollar increment reward levels for brands in the U.S. starting as low as $1; e.g., eGift card value for $12 which can allow members, cardholders, or employees to use fewer of their loyalty currency (points, miles, cash back) to earn a reward. Offer a global catalog of gift cards and eGift cards for iTunes, Walmart, Target, Amazon, VISA, Kohl's, Best Buy, Starbucks and hundreds of other brands across the U.S., Canada, UK and Europe. 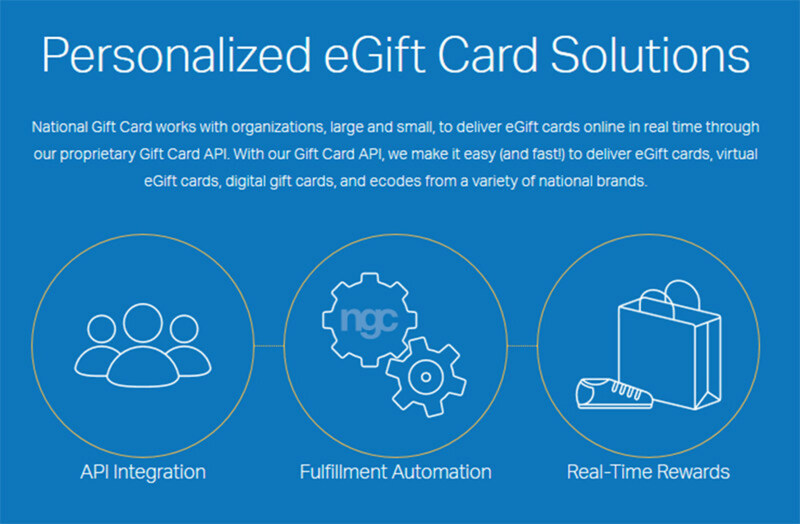 "Gift card API services are the path of the future in the incentive industry," says Eric Thiegs, president of National Gift Card, "and our updated platform and API gift card catalog offers a new standard on security, speed, quality and choice for B2B buyers looking for a digital reward service provider for their programs." Companies looking for one API integration to send orders for both digital and physical gift cards can incorporate the NGC API as its gift card sourcing and fulfillment engine within a few days. The system is easily connectable, and NGC continually surveys employees, customers and prospects on what features should be added to the API, then works to implement improvements as quickly as possible--a sign of the continuous improvement culture at NGC. "We have a commitment to deliver the best in gift card sourcing and fulfillment technology in a way that focuses on the foundation of security, quality and speed," says Thiegs. 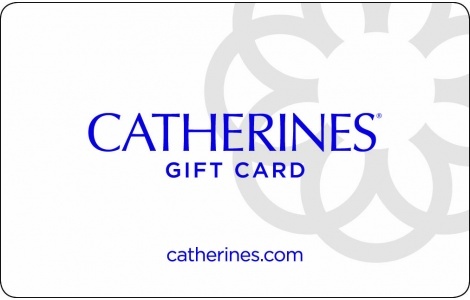 About National Gift Card Corp.: NGC operates across the U.S. and Canada. NGC also operates in the United Kingdom and across Europe as NGC Corp. Europe, Ltd. NGC is headquartered in Illinois. To learn more about NGC, visit http://www.ngc-group.com or call +1.888.472.8747.